Tannerite Single 1 LB Exploding Target | BUDK.com - Knives & Swords At The Lowest Prices! They are called Tankers for a reason! For those of you who live by the “bigger is better" philosophy, these 1-pound Tannerite targets will fit the bill. Tannerite makes the safest and most stable binary reactive targets on the market. To achieve this level of quality, all targets are made in the USA with the finest materials available. Tannerite was specifically designed to be safe and non-flammable, whether it’s sitting on a shelf, being mixed or used. It comes with a DVD, mixing container, and written instructions. 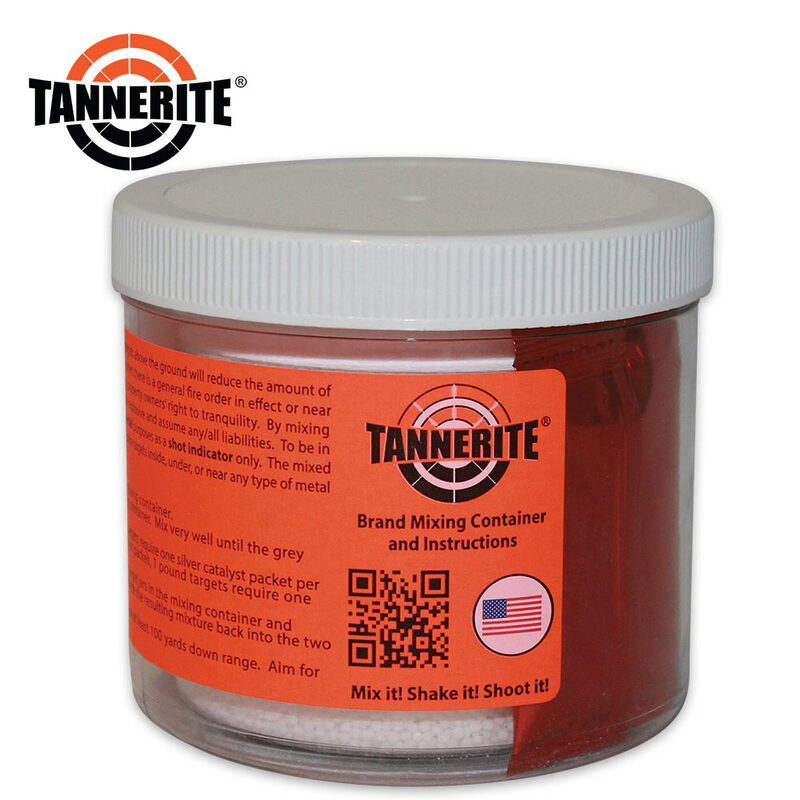 Tannerite is the shot indicator target of choice for hunters, law enforcement, and US armed services.